#1.1 Top 7 Gun Safes from Homak! #1.2 Why Choose Homak Gun Safe? 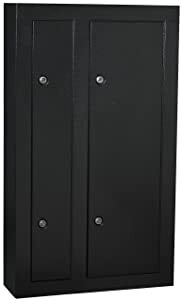 It is true that there are a number of great options out there if you are looking for a quality gun safe. You want to make sure that you are keeping these valuable items secure, and not allowing anyone to have access to them. For some, they are really looking for nothing more than a secure cabinet. Something that will allow them to organize their firearms while adding an additional layer of protection against their children or someone else gaining access to them. 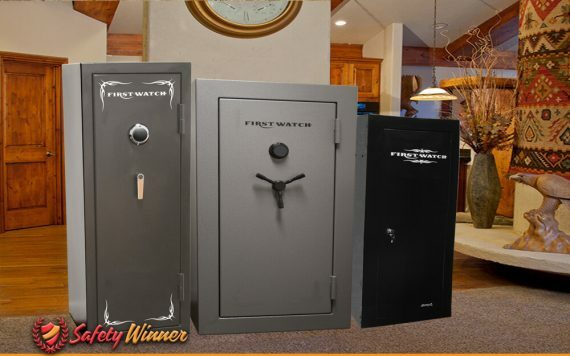 Others are looking for a secure safe that not only provides plenty of room for them to store their firearms, but also a safe they can depend on to give all the great features of the safe. This is why Homak has become such a popular brand. Homak is a gun safe manufacturer, with over fifty years of experience in the same business. Homak has been able to keep up with industry standards and advanced technology in the production of strong safes for guns. Top 7 Gun Safes from Homak! Like any product you will buy, not every safe or security cabinet is built to fit your needs. Homak provides a number of great options and here are seven that may fit your needs. Homak has built themselves a reputation for designing and building quality security cabinets, and this is one you’re going to have a lot of confidence in. From the well-built interior to a durable and sharp looking exterior you are going to find this to be the perfect safe for storing of your long rifles. The interior of the safe is designed to easily fit six long rifles. An additional shelf is included in the upper portion of the safe that allows you storage of cartridges, magazines, and other valuable items. There are also two cubbies that are attached to the door to give you additional storage space. The safe is 57 inches tall by 14 inches wide by 10 inches deep, giving you plenty of room to store your valuable items. The safe comes with a four-point locking system, and the thickness of each piece of steel used in the safe is 1.2 mm. Included as part of the locking system are two locking plates that assist in making this a pry proof safe. Understand that this is not a safe in the traditional way, but more of a security cabinet. Much more like a locker. It uses a HMC high-security tubular locking system to help secure the door in place. This is a quality safe for somebody who is looking for a cabinet that can hold up to six rifles. As long as maximum-security is not your goal, you will be satisfied with this option. Can hold up to six different rifles. Comes at an affordable price, making it the ideal choice for any budget. The locks are built of a quality material. Small enough to fit in any closet while still giving you adequate space for other items. This is not a safe, but is a security cabinet. The upper shelf gives you minimal space for storage. The rack that is included for holding your rifles is made of plastic. Can be a chore to try to fit six rifles in here. If purchasing a security cabinet is all you really desire, then you are truly going to love this option as well. Constructed of 1.2 mm steel walls and with a height that reaches to 57 inches, you will love the amount of space you receive and the protection that it provides. This is a safe that gives you plenty of storage space, as it is 32 inches wide, by 57 inches tall, by 10 inches deep. It is divided to give you two separate cabinets in one, allowing you to more easily organize. The right hand side is where you can store up to eight different rifles, and the left offers you a customizable section of shelves to fit your needs. Firearms are protected by a plastic resting bar that locks the firearms in place while also ensuring that they do not damage the product or get damaged of themselves. The shelves on the left are perfect for organizing your ammunition, magazines, safety goggles, camouflage gear, or any other equipment you have for hunting or shooting. This is truly a fantastic cabinet that makes organization a prime focus of its design. You could even fit additional handguns in this area if you so desired. A set of locks in each door help to secure it in place. The safe comes with locking bolts and all of the hardware necessary to be able to secure it to a wall or floor. It is 128 pounds, making it heavy enough to deter thieves from taking it while light enough to allow you to move it if necessary. This is a fantastic option if you are looking for a good cabinet to store your firearms that allows you to have plenty of storage space. A large amount of rope and easy to organize because of the design of the cabinet. Four locks help you to feel that your items are secure. A lot more secure than you would think. Plenty of room to store a large number of firearms. Comes with all the hardware for you to secure the safe to a wall or floor. This is more of a secure cabinet, not a safe. The strips to hold the gun rack in place are not very sticky. You will likely have to glue them. This is an outstanding security cabinet, not only in its design but also in its look. This cabinet gives you plenty of space, over 8 ft.³ of room, as it is nearly 18 inches wide, by almost 13 inches deep, by almost 55 inches tall. Built using durable steel, you can ensure that you are getting a quality product that is going to be tough and yet still look great. The safe uses 3.2 mm steel plates, and is powder coated to give a great look. Included in the interior is one metal shelf, allowing you to organize your ammunition and magazines. A plastic barrel rest is included as well, helping you to secure your rifles in place so that they do not get damaged or scratch the inner part of the safe. A padded foam bottom helps to ensure that the stocks of your weapons are not damaged either. The door is held in place by a full-length piano type hinge. The door is secured at both the top and bottom through use of a metal plate. The cabinet weighs about 70 pounds, making it heavy enough to be difficult to remove but light enough for you to be able to move with a little help. All of the hardware is included to secure the safe in place to a floor or wall. A very well-built security locker that gives you plenty of storage space for your firearms. You will truly find this to be the ideal choice for your home, especially considering how polished it is. Will look beautiful. Can store up to 10 different firearms. Security bolts make it hard for the safe to be moved, a great security feature. Built with durable 3.2 inch steel plates. Provides over 8 ft.³ of storage space. Sharp looking exterior makes this a great-looking safe. Advertised as 30 pounds but ways closer to 70. Would be better if the gun rack was made of something other than plastic. Why Choose Homak for Your Next Gun Safe? Whether you are looking for a security cabinet adding an additional layer of protection or an all-out safe, Homak has great options for you. Moreover, Homak safes are often less expensive than many of the other name brands you would find on the market. Homak makes concealed wall safes. These wall safes are able to fit in between studs in the wall. This is a completely secure way to install a safe, as it can be covered with a painting, camouflage or heavy furniture. The second type of safes are the box safes, which can hold small guns and pistols, these safes are for those with guns bought as security. These safes will also have room for other valuables. Finally, homak makes gun cabinets. There gun cabinets come with multiple locks and racks. These cabinets will the entire collection organized and easy to grab when in need. Homak gun safes come on all sizes, able to have room for all types of guns, pistols, rifles or ammunition. A users collection starts from anywhere between one gun to multiple types of firearms in large quantities. Homak has really set themselves apart by creating a number of products that that can handle large volume in terms of firearms. It’s not surprising that many of their safes can hold anywhere from eight all the way up to 60 guns. Type of safe is not the only advantage of looking at Homak. They provide you with the kind of features you desire, whether is fire resistance, electronic keypads or thickness of metal. There are number of organizers that the homak safes come with. These include customizable racks and plastic containers. These accessories are a great way to organize all of the possessions one owns, especially in a large safe. if you are looking for a product that will protect your items, this is one of the big advantages of the Homak safe. Most are lines or provide you with additional features that will help to secure your firearms in place while also ensuring that they don’t get damaged or scratched. In order to be able to store all these securely, far from the reach of children and irresponsible adults, the owner needs to safe guard them in a strong gun safe. Even though gun cupboards and display cabinets are popular, a simple key is not enough security to keep them out of harms way. Homaks gun safes come with an overall 7/8″ in thickness. This thickness in metal sheets is one of the best in the industry. The thicker and heavier a safe is, the harder it is to be broken into. The strength of the metal will keep the safe from breaking in adverse situations, especially when a burglar is trying to force open or break it with heavy tools.